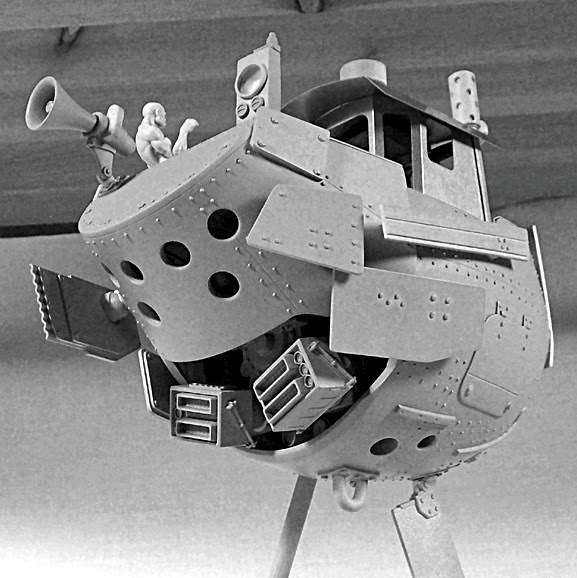 Like so many of IM's productions, this air-ship is not from any of the well-established sci-fi or fantasy movie franchises, so Star Wars, Star Trek, Hobbit or Avengers, it's not. 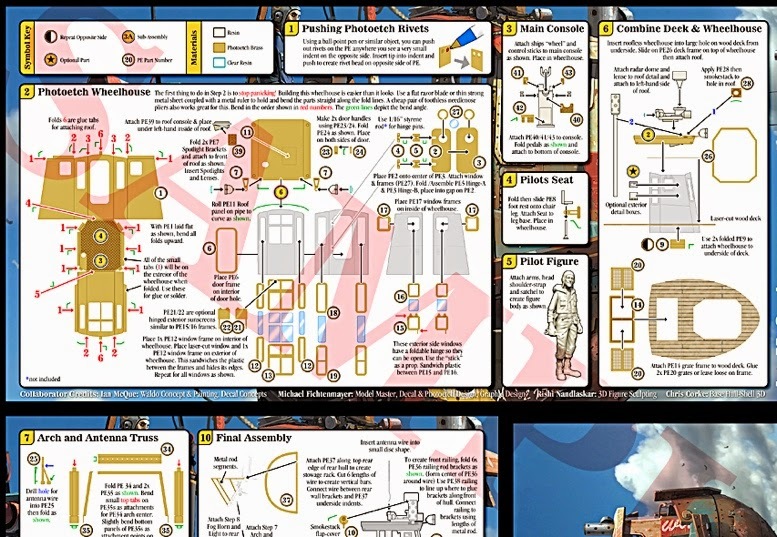 Instead, you have an original kit, that is suitable for almost any fictional setting. It's perfectly OK to build as is. Conceptually, Waldo stays up courtesy anti-gravity motors, but there's nothing to stop you adding a set of gas bags, or fan-style propulsors of some sort. The ship can be crewed by humans or aliens, but a nicely sculpted human pilot is included. And, as the kit is to military-kit standard 1:35 scale, there are many options available for crew or passengers. Five-view of Waldo's casually-dressed pilot figure (below). It's a well-produced 1:35 scale figure, which will look excellent after a careful paint job. 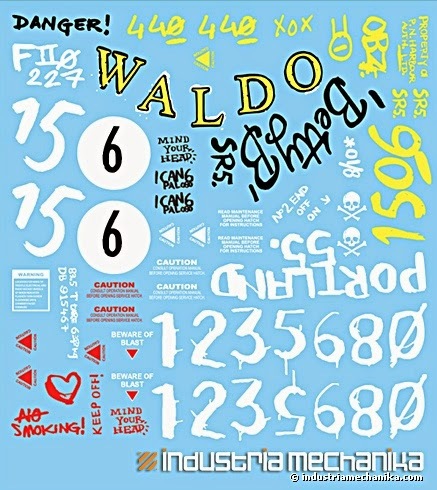 Lots of optional markings are provided on the decal sheet (below) though many modelmakers may prefer to finish the ship in their own markings. Detailed instructions (below) make assembly a breeze. Ventral view (below) reveals two rectangular anti-gravity motor exhaust vents. 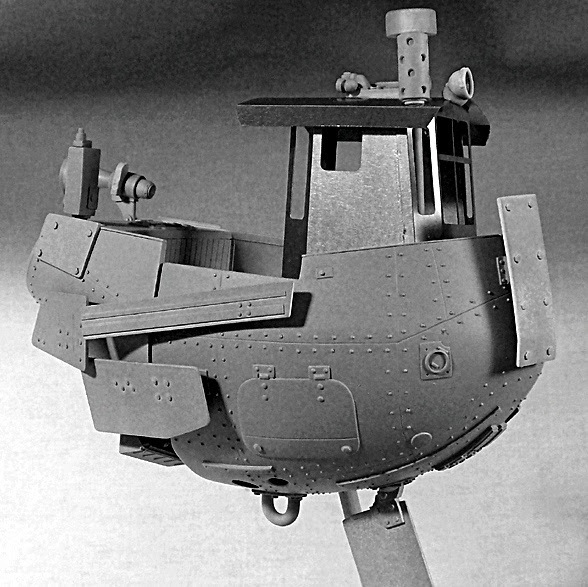 Sideview (below) shows plenty of steampunk-style rivets and hatches. Under the keel is a deep stabiliser fin. 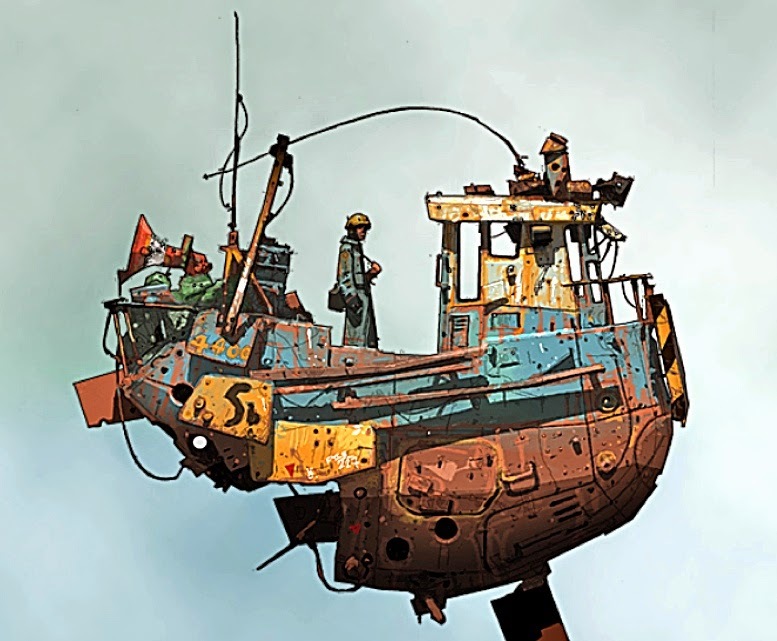 Modelmakers who choose to create an alien ocean, with Waldo afloat instead of in flight, may wish to leave off the fin. 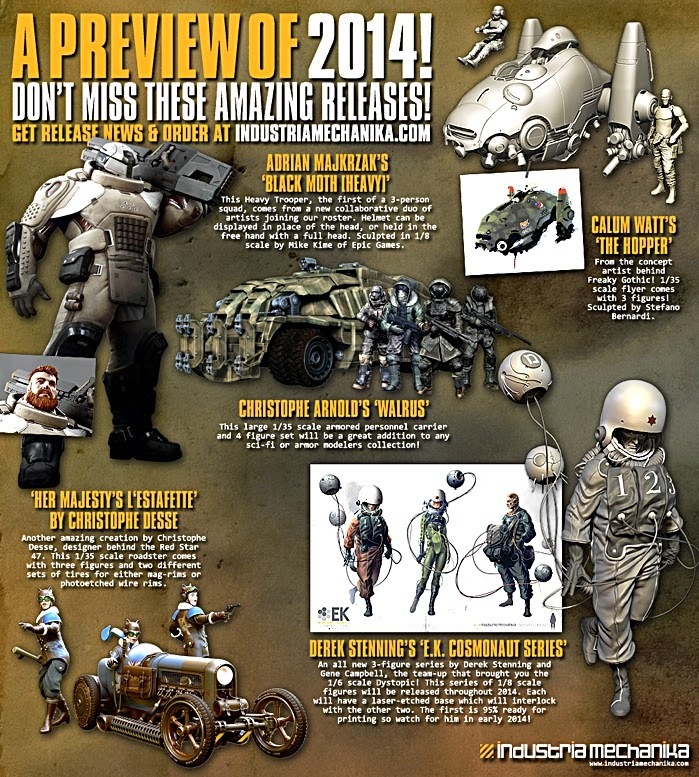 Waldo is just one kit from a busy IM release schedule, as shown in the teaser poster (below). 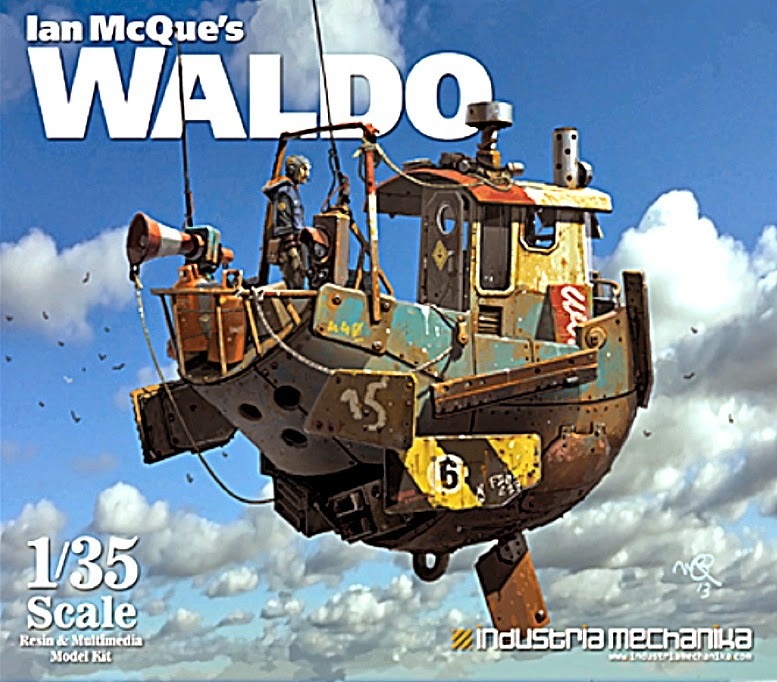 Visit Ian McQue's Waldo at Industria Mechanika here. Click here for more sci-fi kits and collectibles.